Windows PE, otherwise known as Windows Preinstallation Environment or WinPE, Is basically a lightweight version of Windows that can be used to diagnose an operating system that fails to boot. Simply stated, Windows PE boots your PC Into the command prompt, thereby you can perform tasks on the operating system such as accessing the registry, use diskpart to create or work with disk partitions and volumes, start PCs and prepare them for Installation, setup recovery tools, perform modifications on the operating system, data recovery from PCs that don't boot and a lot more. 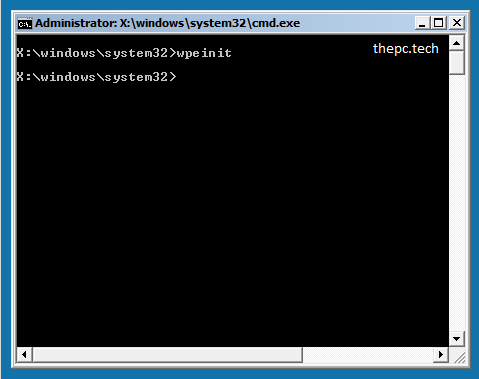 Windows PE (WinPE), does not come as a standalone download ready for use. I have created this version (5.0) based on my "Windows 8.1" x64 operating system by downloading Windows ADK (Assessment and Deployment Kit), extracting Windows PE and creating a bootable ISO Image file thereafter. In short, what you're left with here, Is a bootable ISO Image file of Windows PE that's ready to burn to disc or Install on a USB Flash Drive and boot Into the Windows OS. Given this version Is taken from Windows 8.1, It's obviously fully compatible with that OS version. That said, I have tested some features on Windows 7 and Windows 10 successfully, but I cannot ensure It's compatibility In full with these OSes. For more Information on this particular version of Windows PE, please refer to Microsoft's official website here.